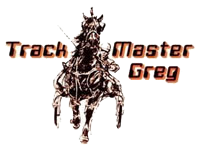 TrackMaster Greg is the clear choice for consistent profits at the harness races. These easy to use selection reports provide the most valuable rankings around for virtually every track, every day. Horses are ranked from high to low by total points calculated from a scientific formula. Special best bet and hot longshot plays are at the top of each report for quick access. The goal in producing TrackMaster Greg reports is to provide the most valuable harness racing rankings around. The reports are presented in an easy-to-use, fun-to-read html format that require no additional software to view. Each sheet contains one entire race card. For each race you will see program number, post-position, the horse’s name, morning line odds, driver’s name, driver's win percentage and the always important point total. The horses are ranked from highest to lowest by total points which are calculated using a proprietary formula and a combination of various handicapping factors. Other brands of selections give you pages of cluttered numbers and confusing symbols, leaving tedious work to be done before you're ready to place a bet. With TrackMaster Greg there’s none of that hassle because everything’s already been compiled for you and presented with ease of use in mind. The hours have already been spent adjusting the speed and class ratings, calculating specific driver/trainer and post position indexes, incorporating complex pace rating systems based on individual tracks, and output it all to one single number. How could playing the harness races get any easier? The point rankings shown for each race do not necessarily indicate the exact order the horses are expected to finish. More importantly, they give you an idea of who the top contenders in the race are most likely to be. The closer the spread in point totals the more likely it is that more horses have a shot to win, and vice versa. Also, on occasion, a horse will receive a rating of 0.00. This usually indicates the horse is making one of its first starts, either in its career or in the country. Generally, it is not advisable to wager on races where there are horses who have yet to prove themselves. As we all know, on any given night a lot of racing luck can come into play in harness racing and the perfect trip means everything. There's going to be money in your pocket at the end of the night if you just stick to betting the top selections to win. However, experts recommend using the top rated horse as the key in an exacta or trifecta box with two or three other contenders. Also try taking the first and/or second choices on the system and playing a daily double or pick three. The bankroll necessary for this type of betting isn't huge, and as with most exotics, the prospects are better for higher returns. As you'll also notice TrackMaster Greg provides a BEST BET and LONGSHOT play at the top of the report for your convenience. Remember to use common sense and strict money management and you too can be well on your way to owning that brand new Cadillac and living the high life in the turf club. 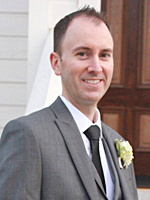 TrackMaster Greg shares a love of harness racing not often found in his generation. He brings his youthful exuberance along with some stubborn, old-fashioned mannerisms to whatever he does. Thanks to the influence of his horse playing father at a young age, he has been avidly following the pacers and trotters for many years now, enthralled by this intriguing sport. A college graduate, he is a whiz at math and computers, but only now has he finally found the perfect way to put his knowledge and expertise to good use...through the release of the TrackMaster Greg Reports. Instead of hanging out at clubs, updating his social media accounts and wasting time like most of today's younger generation, Greg spends his free time hanging out at the track, logging into his online wagering account and hammering out complex statistical formulas. He does all this with one goal in mind: to provide the most valuable harness racing rankings around. He examines all the facts and figures and explores all the angles, and now he's able to share the wealth of information he's found with a wide audience. When asked about his revolutionary product for picking winners, Greg responds "I don't give a rat's tail if you like the system or you don't. I'm not going to take the information to the grave with me. It's the best system for playing the harness races. It's made me money and it's going to make you money too. Use it." No additional software is needed to use the TrackMaster Greg system. The reports are viewed simply and easily in any web browser, on any device.